We offer free freight pick up in the lower 48 US only. We quote with multiple lines of freight carriers based upon the best rate and time. That terminal could be 10 minutes away or 4 hours away from you. The more rural you are the further the terminal would be. A freight terminal is the terminal used by the freight carrier we select. We use Yellow freight, AAA Cooper freight, Old Dominion, Roadrunner and others. You would drive to that terminal and pick it up from the dock. You cannot select the freight carrier you want nor can you pick the terminal location. This is a way we can reduce costs on freight and pass that savings on to you. We can run a quote ahead of time, but we will need your zipcode and the unit you would like to order so we can run an accurate quote. For an additional fee we can deliver directly to your door. We will send a residential truck and you have the option of a lift gate. They will require that you be there, they will call ahead of time and schedule an appointment. 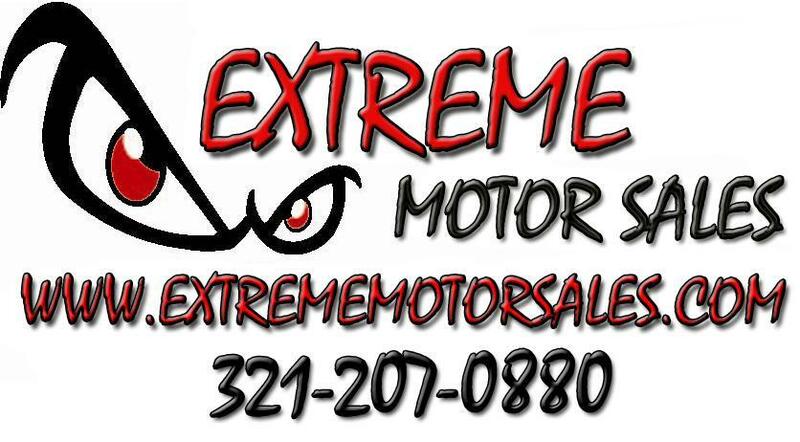 You can always order and pick it up from our showroom location:Extreme Motor Sales, 2327 E Semoran Blvd, Apopka, FL 32703. We have our professional staff assemble and prepare your unit so that it is running and ready to go when you pick it up. You will maintain a full warranty from the manufacturer when we provide assembly. UPS or FEDEX: We cannot ship any units over 100lbs through these carriers. They do not take anything above 100lbs. Normal freight time is 7-12 BUSINESS days. Business days are Monday-Friday. The day of the order does not count as a day. If you pay by check, you will have a 7-10 business day hold before your item is shipped. All vehicles are packaged in a metal frame surrounded by heavy packing material to protect your shipment. We have shipped many vehicles and the packaging does a great job of getting your vehicle to you safely. The outer packing material may have some marks or little holes in it so check under the material to see if your shipment has any damage. The packaging the vehicle comes in is engineered to protect the inside contents. Marks on the delivery box do affect the vehicle inside. Always inspect the insides of the crate and you will find that 99.9% of the time your vehicle is in perfect condition and ready to assemble. BEFORE you sign the bill of lading... make sure that there is no damage to the unit. IF there is any damage make note of it on the bill of lading. Each unit is insured and signing the bill of lading without notification of any damage will prevent being able to make a damage claim after the fact. When you sign that form.. you are saying the unit is free and clear of any damage. For Shipments to Alaska, Puerto Rico, Virgin Islands and Hawaii please email or phone us for shipping prices. Items that include Shipping does not pertain to Alaska, Puerto Rico, Virgin Islands and Hawaii.